WHICH RESTAURANTS IN LOCH LOMOND SHOULD YOU VISIT? Food lovers can research a destination until the cows come home (and until the butter’s churned, and slathered on a thick-cut piece of freshly made bread, but we digress). But will your research mean an amazing food experience? Not always. Especially in a location where the language can be a challenge (Scottish can be a bit tricky at times!) or where specific delicacies are to be found. That’s when you have to call in the big cheese, aka the locals! A local expert is someone just like you. A food lover. Someone with an appetite for food who may just know a certain cafe, a rural farm, a hidden lane or a lesser known restaurant. Local experts may just know how to navigate the food delights that await you at the restaurants in Loch Lomond and The Trossachs. With our local knowledge this review is ready and waiting to guide you around the delicious highlights of Scotland’s first National Park. We will shine a light on the hidden gems and must visit food places. 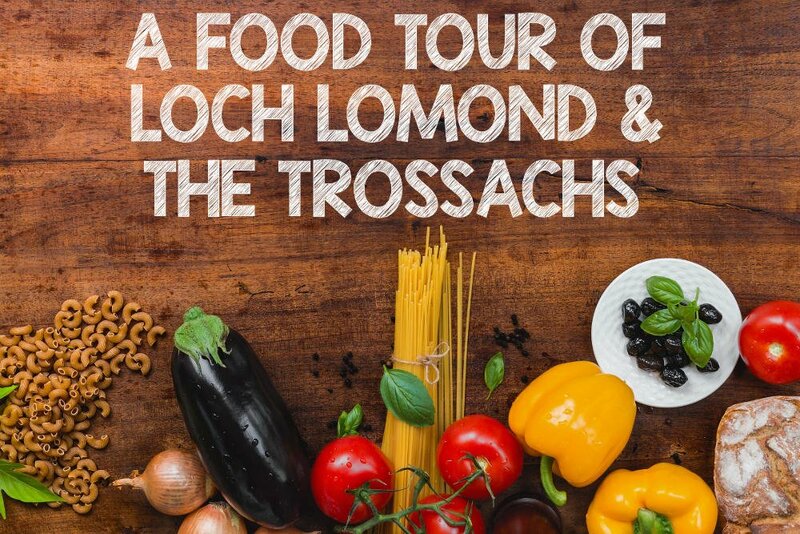 We will introduce the people, share the stories and help you plan your own food tour of the restaurants in Loch Lomond and The Trossachs. While you travel through the beautiful Scottish countryside we will point out the things to do and what to see. We will help you find the local manufacturers who supply the eateries. We will help you find the best chefs who blend unique culinary skills with local produce, culture and the country atmosphere. 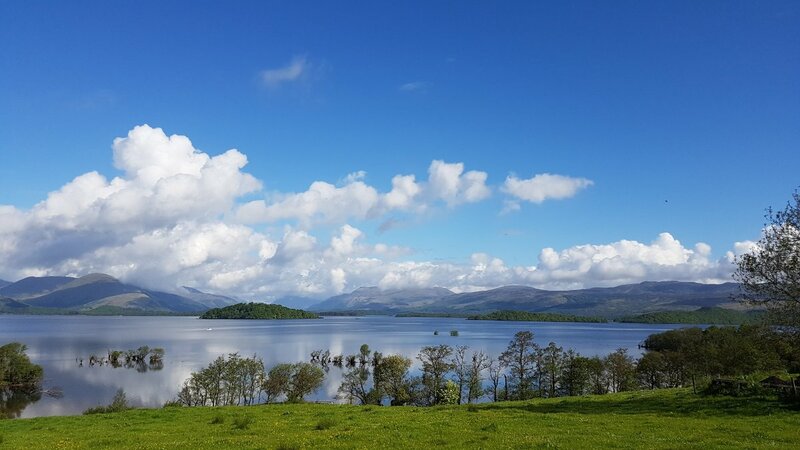 From country kitchen to fine dining this food tour of Loch Lomond and The Trossachs will leave you with a satisfied smile and a stuffed belly full of food. WHAT DO YOU WANT FROM THE RESTAURANTS IN LOCH LOMOND? You’ve worked up an appetite travelling to Loch Lomond and The Trossachs. You’re hungry and need refreshment. It now time to experience the local flavours and let your taste buds smile. With so many great restaurants in Loch Lomond and The Trossachs you will get a true taste of local life. So, where do you start? Where should you visit to spend you’re hard earned money and pass your own precious time? What should you be looking for from the best restaurants in Loch Lomond and The Trossachs? Who should you be marking out to eat from? We use our own short checklist before we head out on the road to sample the local treats. Who is the head chef and what is their background? What is unique about where we visit? What is the signature dish/food style? What is the atmosphere and location? Do they create dishes that we cannot make at home? Will the cost be representative of the experience and food provided? This checklist usually keeps us on the correct path and has helped us learn all of the best places to eat in Loch Lomond and The Trossachs. With many trips and at our own expense we have spent many years gaining knowledge of where you should eat. Whether you only have a few hours or maybe you have a few days our review of the restaurants in Loch Lomond and Trossachs will make sure you enjoy a great meal whatever time of day. Pick and choose or follow our itinerary while you discover the finest food the area has to offer. Starting your tour with a hearty breakfast is always a good idea. Corries offers a traditional look at a Scottish cafe. Bedecked in tartan and worn tables this rustic eatery can provide a full Scottish Breakfast or a tasty bowl of porridge. If you are searching for an authentic experience Corries Cafe is known to entertain locals and visitors and also charge a lot less than it’s neighbours on the crowded main street. Corries also provides live music and is definitely worth returning to to hear the local folk musicians. Once you have enjoyed a satisfying breakfast and you’re ready for the day ahead you can enjoy a picturesque walk. On the opposite side of the road from Corries is Balloch Castle & Country Park. The castle has acres of land to walk through and a beautiful track on the shore of Loch Lomond with views that will introduce you to the mountainous landscapes that lay ahead. If you have taken the opportunity to walk off a few calories there are some great foodie destinations close by for you to visit. Your next destination should be Portnellan Organic Beef farm on the southern shore of Loch Lomond. With a long history of supply Portnellan Farm can sell direct to you and is well worth a visit if beef is your prized food. If you have time on your journey toward the western shore of Loch Lomond, and lunch at Luss, stopping in at the Auchentullich Farm Shop in Arden will be worth your time. Providing a nice selection of local produce you may be able to pick up a tasty purchase or two. Depending on how much time you have before you enjoy lunch at the Luss Seafood Bar it may interest you to explore a little further. Close by to Balloch and based at the southern borders of Loch Lomond are The Loch Lomond Brewery and a little further is Auchentoshan Distillery. Both locations offer tours, samples and a shop to buy their great tasting beer and whisky. When you arrive at Luss you will be immersed in the beauty of this heritage village. As a major destination on Loch Lomond it can get busy however, if you pick and choose when you visit you can enjoy the pier, beach and charming cottages in tranquility. For all the seafood lovers of the world the Luss Seafood Bar was opened in 2016 then refitted at the start of 2017. Owned by the long standing Luss Estates and led by award winning Head Chef Allan McLaughlin they use the local facilities of the Luss Smokehouse to serve up some of the best salmon in Scotland. 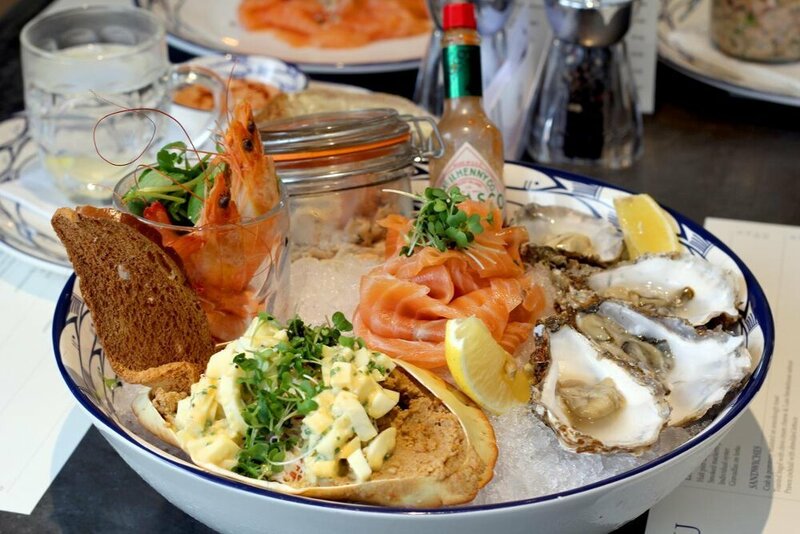 Allan has also hand-selected oysters from the Isle of Cumbrae and potted crab from Tarbet on the banks of Loch Lomond amongst other Scottish seafood delicacies. Allan joined Luss Estates from his previous position as Head Chef at Woodlands Park in Surrey which is part of the prestigious Hand Picked Hotel Collection. Situated in the heart of Luss this charming cafe restaurant is building a solid reputation. Open from 9am-9pm this restaurant in Loch Lomond has evolved from last year and is a destination for all seafood fanatics. Using the local facilities of The Luss Smokehouse the beech smoked salmon produced in the village is mouth wateringly delicious. Sourced locally each dish is served as fresh as possible. Whether you want to indulge on a platter or taste from the brunch menu you will be delighted with any of your selections. Choose from chowder, halibut or lobster as well. The menu is contemporary and has plenty of variation as the weekly market fish menu changes defendant on supply. With such a great menu you will want to return again and again. Expert Matthew Jukes has also provided a wine list to accompany the seafood. The interior has been given a personal touch with artist Ursula Hunter providing the wallpaper designs. With zinc top tables adding a touch of class to the setting you will be pleasantly impressed with the ambiance of this restaurant. As an informal relaxed dining experience this restaurant in Loch Lomond is a destination not to miss. 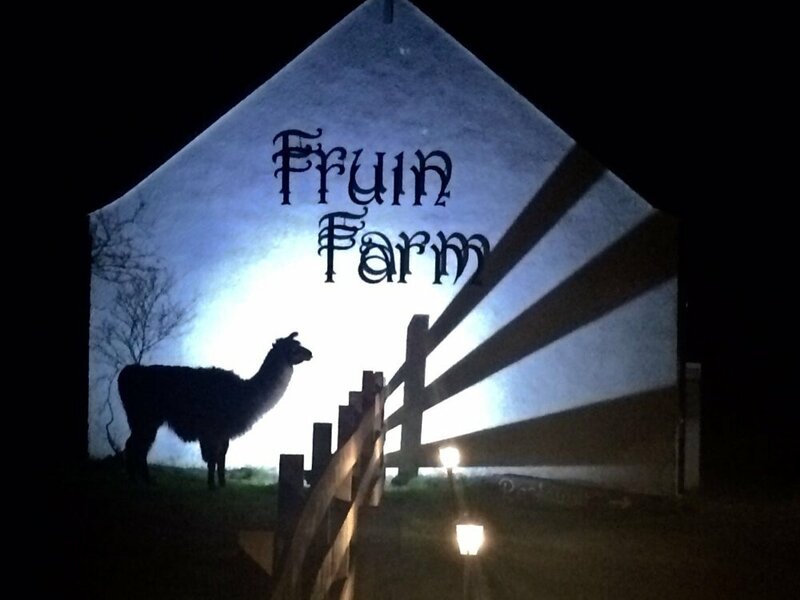 Fruin Farm offers visitors a distinctly different experience that you won’t find anywhere else in Loch Lomond. Set in the beautiful rolling hills on the west side of Loch Lomond Rebecca & Wayne host dinner guests every weekend and offer breakfast & lunch 7 days a week. The walls are furnished with art which adds to the rustic feel and helps characterize the informal setting. Fruin Farm is a destination within itself where you can enjoy exceptional locally sourced food prepared by Head Chef Paul Moran. Paul’s love for seafood is apparent to any guest at this well known restaurant in Loch Lomond. With years of experience running the Seafood Cafe in Balluchuilish & The Wee Lochan in Glasgow’s west end Paul lets the ingredients speak for themselves. 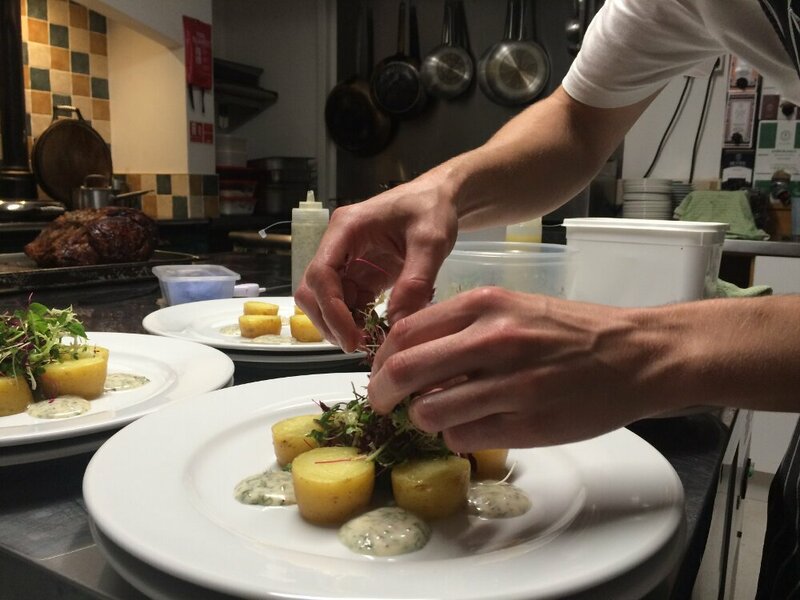 Offering a concise menu with a quality selection of dishes the food at Fruin Farm can definitely be classed as fine dining. Fruin Farm are purveyors of excellent dishes that are modern and stylish. Rebecca, Wayne and Head Chef Paul insist on utilising only the finest of produce that is grown and slaughtered locally. 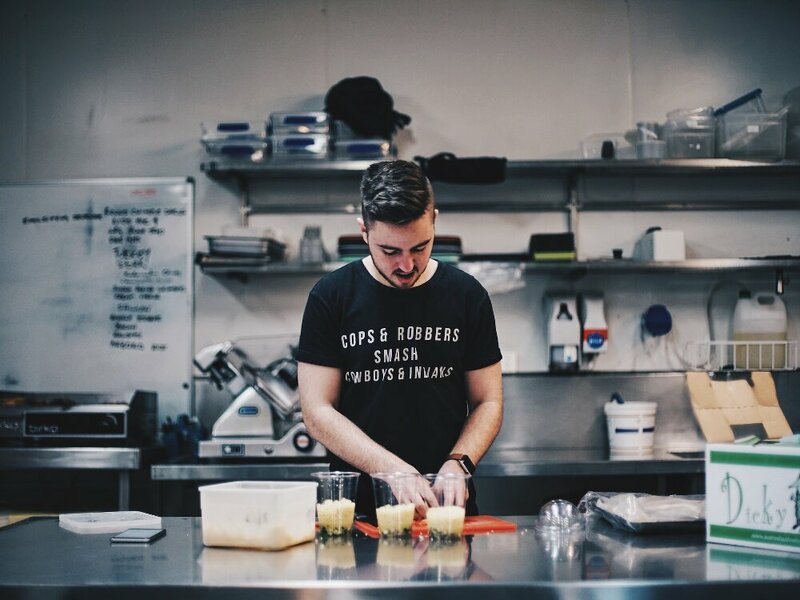 Their depth of care is second to none as they visit all of their suppliers to ensure all ingredients are good enough for your plate. With a seasonal menu that changes throughout the year you will want to keep returning time and time again to enjoy the evolving mouthwatering choice of dishes. With a farmhouse style setting the owners describe their restaurant as “relaxed fine dining”. Rebecca describes the atmosphere as “like walking into someone else’s house but being welcomed by an old friend”. Situated one mile from the shores of Loch Lomond as well as incorporating a lama & alpaca farm this restaurant in Loch Lomond is unique, friendly and sustainably motivated. Utilising sustainably caught seafood, their own pigs, freshly baked bread and using eggs from the local farmers you can be ensured that if produce can be sourced locally it will. 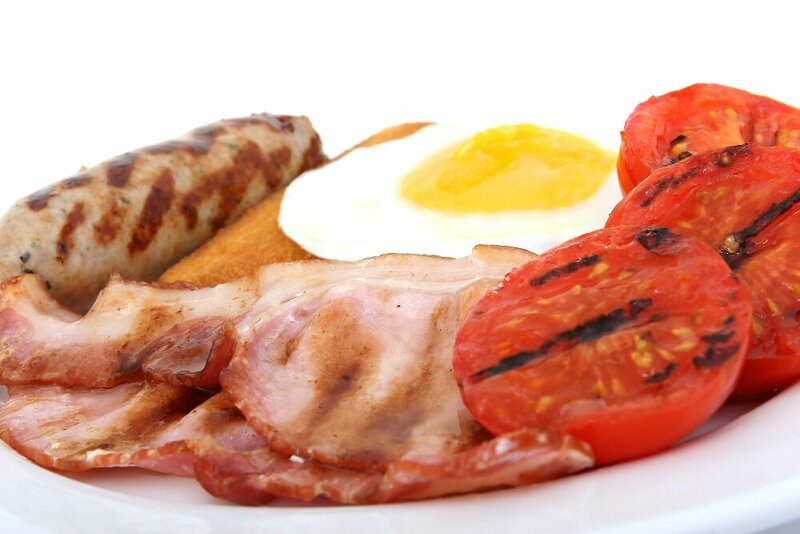 Fruin Farm is a reasonably priced restaurant for the high standard of food served every day. Whether its breakfast, lunch or dinner this restaurant in Loch Lomond has to be visited. Each dish is created with love and served with care which is why each bite tastes so good. Once you have enjoyed a tasty meal at Fruin Farm you can enjoy a gentle walk toward your accommodation along the West Loch Lomond Path. Used mainly as a cycle route during the day an evening stroll along the shores of Loch Lomond is always a beautiful way to end a great meal. With Ben Lomond as the backdrop the views from the Arden section of the path are truly world class. Situated on the “Bonnie Banks” of Loch Lomond, Auchenheglish Lodges offers 15 individually styled luxury self-catering cottages each with its own unique view. On the water’s edge, their holiday homes offer privacy and seclusion, with spectacular vistas across the water to the islands and mountains beyond. Auchenheglish Lodges have their own private jetty and their properties boast the highest standards allowing you to indulge in luxurious living with quality soft furnishings and bed linen, en-suite bathrooms and fully fitted kitchens you’ll want for nothing. Stay entertained with free wi-fi, full sky satellite packages on TV’s, and DVD players. All the properties are smoke/pet free.